. I’d like to know if this can go in the oven like a cast iron skillet. Purchased at a yard sale cleaned it up with salt.
. Dear Jeanne, thanks so much for your question. The answer is yes, as long as the handle is oven safe. Wooden and bakelite handles are not suitable for oven use, but steel handles are safe to put in the oven.
. I purchased a 12″ [ 32cm. ] 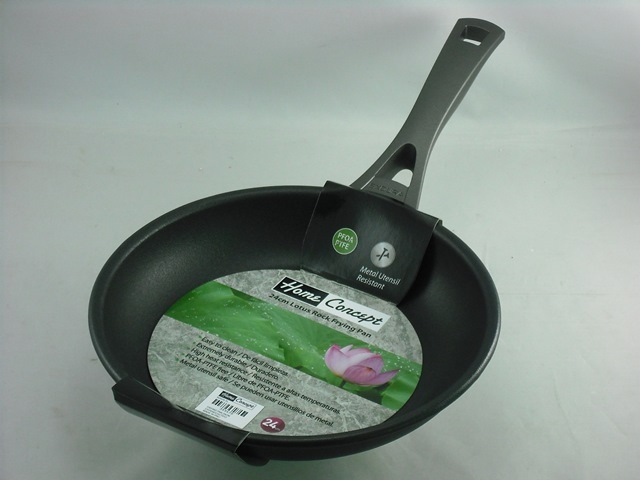 coated fry pan at Winners in Canada, but the handle has IPAC logo on the top face base of the handle. The inside/outside coating, size, handle shape are identical to Lotus Rock but the named logo is different, is this also a Lotus Rock product made for a different seller? .Dear Byron, thank you for your enquiry with us. Lotus Rock has a variety of sales partnerships in different parts of the world. 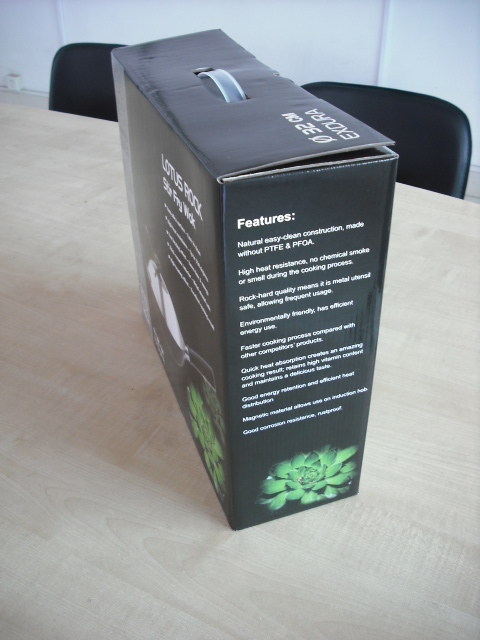 In USA and Canada Lotus Rock is sold in cooperation with the IPAC brand, with their Echo range. 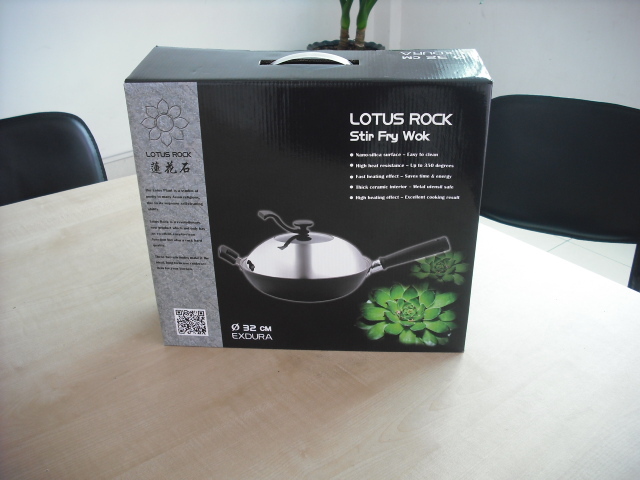 The product is a Lotus Rock pan with the Lotus Rock patented Titlis handle attached. 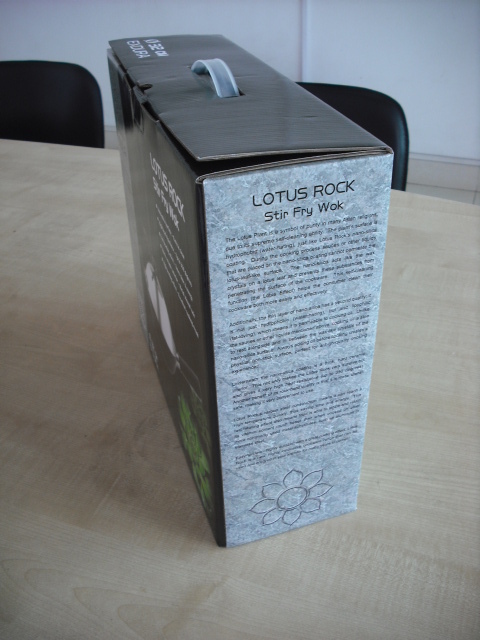 The photos of Lotus Rock packaging on pans with the Titlis handle you can see in the above blog post are sold in various countries in Central America.